Thirty-seven year-old Ethan Smith has a BS in industrial design (Ohio State) and spent the last 15 years as a design professional working on projects ranging from large-scale, healthcare campus re-designs to global retail branding projects. He started SmithFly in 2010 because he was frustrated with the soft goods available to fly anglers and wanted to design a system that could adapt and change to various conditions and situations that fly anglers encounter. SmithFly became a full time endeavor for the first time in late 2014 and continues to grow and expand. Ethan recently opened a bricks and mortar hybrid workshop/design studio/retail fly shop in April 2015. Ethan Smith: “I love getting up every morning and heading in to work. My design philosophy is built on function and adaptability. 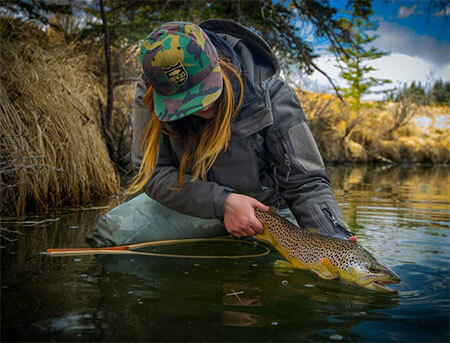 The look of a product is entirely driven by how it functions, which is why some have said that SmithFly products are a bit visually ‘plain.’ SmithFly will never make a product based purely on how it looks. I am not in the fashion business and am committed to form following function as an underlying principle. Robert Morselli: What’s the first item on your check-list when you set out to design a new product? ES: Every product SmithFly makes is born to solve a problem in a way that enhances the experience of fly fishing. Fly fishing is filled with moments of minor annoyance juxtaposed with moments of pure joy. Whether it’s the eye of a hook being gummed up with head cement or your line hanging up in a tree, these moments of annoyance are all common on the water. As a general rule, the goal is to minimize the moments of annoyance in order to maximize the moments of joy. I like to solve annoying on-the-water problems so that users can focus more on the catching of fish. So, to me, every product starts with a problem, like how to keep a good camera dry and easily accessible in a hurry, or how to carry not only a fly box but also leaders and other items in a pouch that can be used on various other belts or packs that may not be fly fishing specific. The first item on the checklist is always ‘what problem are you solving?’ If you aren’t solving a problem with new innovative solutions then you are in the fashion business. RM: A large portion of your products are fabric-based. Why? ES: When I had my idea for a modular kit of parts to carry fly fishing’s essentials on the water, a soft system built from fabric was the most logical choice. From a durability standpoint I would love to develop a line of hard sided pieces to work with the system as well and it is in fact something I have worked on quite a bit in the R&D phase but remains a bit too capital intensive to go after seriously at this point. Someday it may be reality, but at this point SmithFly is primarily focused on soft goods and apparel. RM: How do you see the industry evolving in the future—with regards to packs, slings, backpacks and other items that offer portability? ES: There is increasing number of molded and welded products on the market which I think is going to grow in the future. Sewing is old technology and it is slowly being replaced by welding and bonding with heat-activated adhesives. Though in some ways these processes can be inferior from a durability stand-point, from a production cost and waterproofing standpoint, welding and heat sealing might be superior. So I see more welded, molded and bonded products slowly eroding the foundational position of sewing, but obviously never totally replacing it entirely. RM: When you read customer feedback, what is the most common misconception? RM: How does SmithFly differentiate itself from other manufacturers? ES: The majority of our current line of soft goods is made in the USA using USA fabrics. This is an expensive and difficult thing to maintain in the long run, but it’s something I am committed to. I’ve developed some new relationships with sources of imported products that I am satisfied with and I think can offer some innovative solutions, but by and large we are focused on maintaining products built in the USA and to the highest standard possible. I also think that SmithFly is unique in its ability to address fairly high level innovations. For instance the Cooler Kilt product is a first of its kind cooler accessory that has been knocked off by I can’t tell you how many other companies. That is basically an entirely new category of product that SmithFly launched on its own. That high-level, forward-thinking, problem solving is really where I like to spend the majority of my R&D time and money. Solving problems and making angling easier and less stressful and finding new innovative solutions to problems. The Digi-Pack is one of our best selling items and we are selling more and more to photographers who don’t fish but do take their camera into places where it needs protection form the elements, like hikes or field assignments. So there seems to be growing interest in it from non-anglers. I used the Digi-Pack on several outings and found that the absolute standout feature was overall comfort. 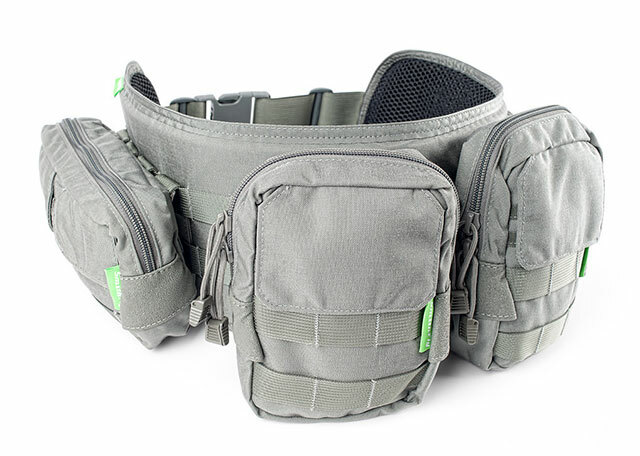 The modular units (zip pouches, roll top waterproof bags) allow for a huge amount of storage capacity, and so the Digi-Pack is built on a 6” wide, padded belt that won’t cut into your hips or pelvis should you decide to fill up the packs to capacity. The capacity itself compares to that of a medium/large back pack, and the individual modular units all lean towards the large size, so no fiddling about trying to pry a tool of box out of a tiny, zippered compartment. Finally, the robust materials—loops, belts, buckles, fabric, zippers—add up to a product that will perform for a lifetime. I also tested the SmithFly’s feature-rich Intruder jacket, and Ethan’s claims bear out: it’s warm enough for cold days and cool enough for when the sun pokes out. 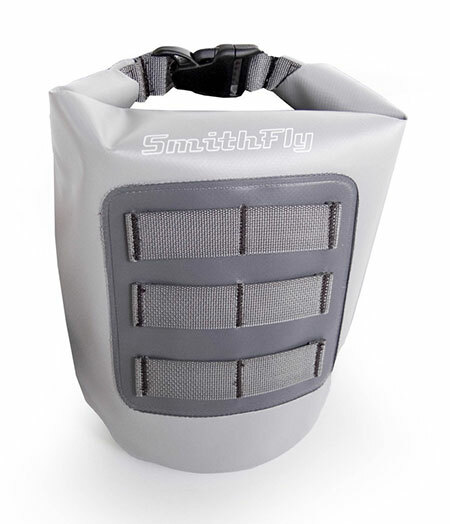 Its streamlined design borrows ideas from the tactical world like the rest of the SmithFly line of products. Made of a durable 3-layer fabric to keep water out and allow perspiration to escape. The outer shell is a DWR stretch nylon while the inner face is a soft fleece. In between those two layers is a waterproof membrane that keeps you dry. Thoughtful detailing includes pit zips, a refreshing idea. Loop patches on each arm keep foam fly patches out of the fly line danger zone and keep the jacket front perfectly clear. Fleece-lined hand warmer pockets feature D-rings for attaching keys or clip-on style retractors. Inside each hand warmer pocket is a smaller little plier pocket to keep hemostats and pliers snug. Keeping those things inside your pocket keeps them handy, not dangling off the front of your chest waiting to be snagged by some branch or unsuspecting tippet material. The rear features a lumbar stash pocket with access from either side, to keep spare spools, leader wallets or a PB&J. Noteworthy: the pocket is low enough that you can actually reach it. Each sleeve has stash pockets for leaders tippets, grease, etc. Rounding everything out is a great fitting hood and hood stash flap. This jacket is sized on the small “modern cut” end of the spectrum. So order one size up if you’re ordering on-line. Final note: I urge readers to visit the SmithFly website. It’s filled with a great assortment of unique, value-packed gear ($20 fly lines, $49 anodized fishing pliers).